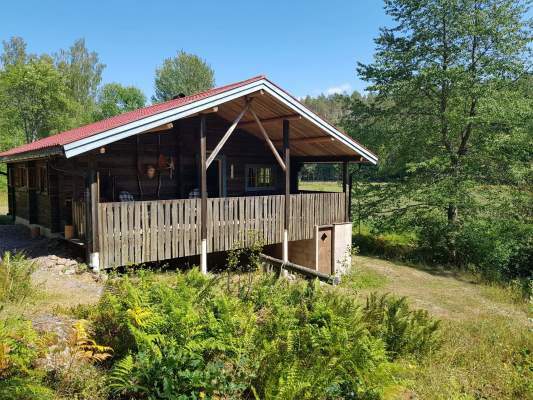 Holiday Home Sweden, Östergötland, Härna: "Fågelsången"
Outside the small town of Hycklinge, about 44 km from Vimmerby, this house is located with a nice forest and field environment. 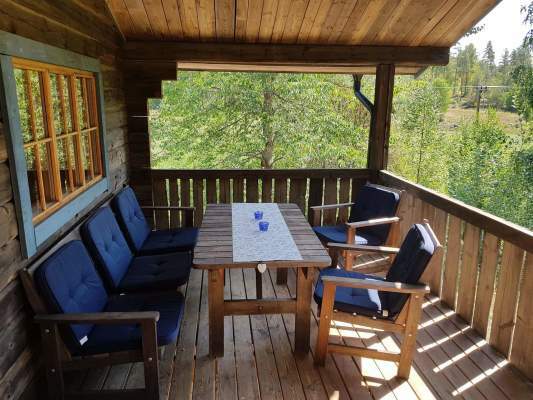 Here you can go out on the nice balcony in the morning with your coffee and listen to the birds singing. 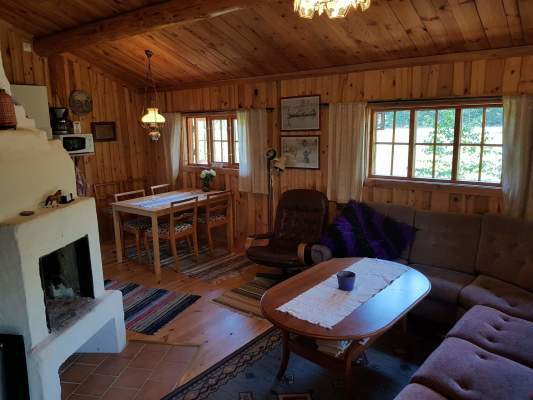 The house has an open plan living area with kitchen area and a living room with fireplace (wood included) and a sofa with windows facing the nature. 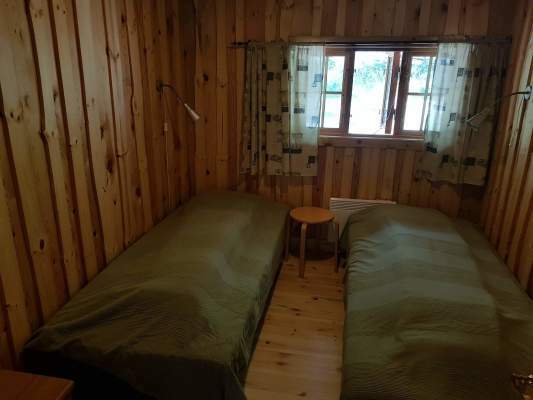 Two bedrooms are connected, one room with two single beds and one room with double bed. 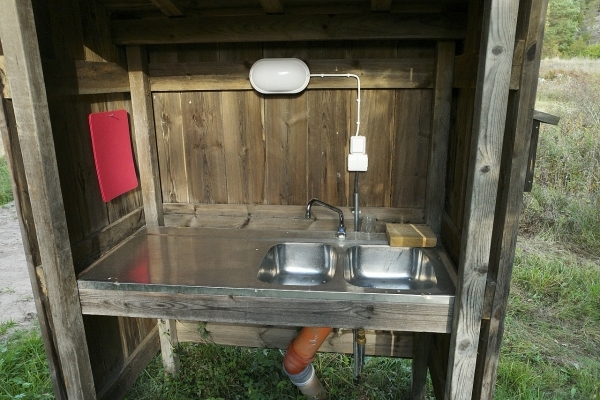 Next to the bedrooms there is a bathroom with toilet, shower and sink. 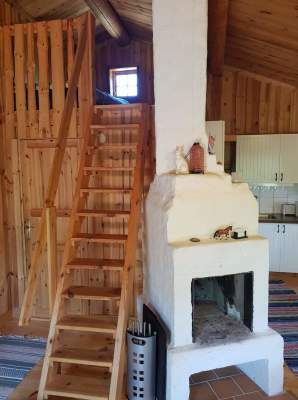 From the ground floor a staircase goes up to a sleeping loft with two extra beds in the form of mattresses. The house is situated on a natural plot but also has grass area for play and a playhouse for the children. 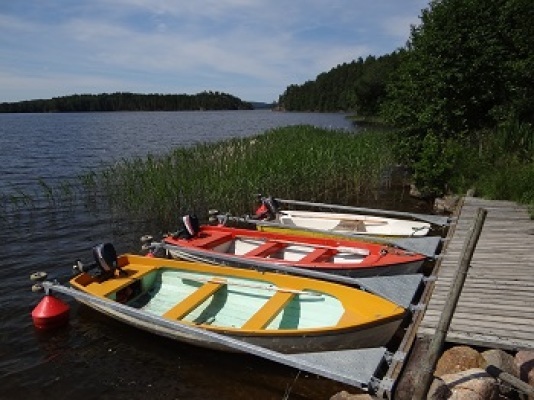 If you want water you will find Lake Åsunden 300 meters from the house where you can rent a boat. Fishing license for the lake you can buy online. To get down to the boat and bath you pass a cow garden. 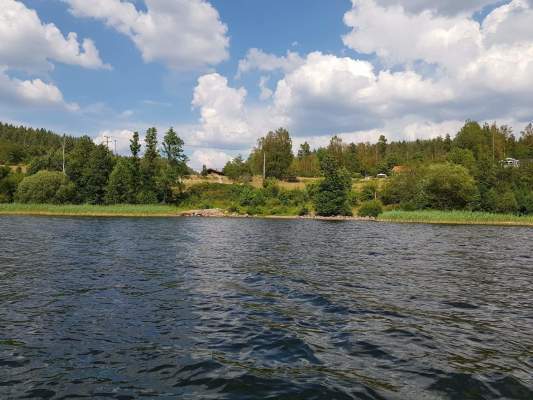 If you take the boat out on the lake there is a lovely island with sandy beach and barbecue area, and in Hycklinge there is a bath with a jumping tower. 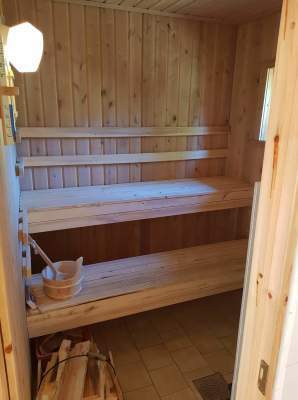 Below the dwelling house, about 100 meters away, there is a house with a wood sauna in one part, and in the other part a room with a washing machine. 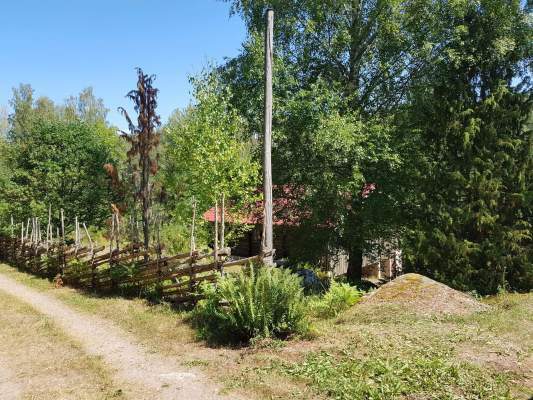 This house is shared with another cottage which is about 200 meters away. 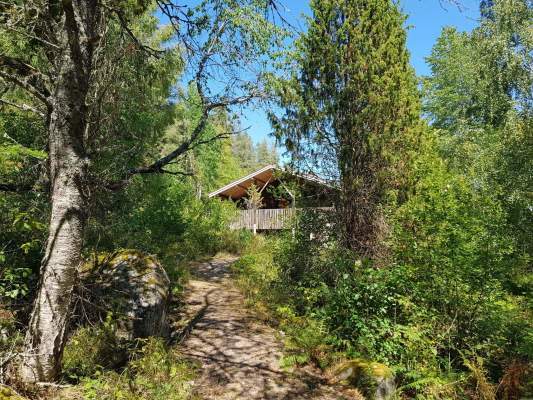 The holiday house is located with the woods beside, and a lovely landscape with beautiful nature and several lakes nearby. If you want to go to eastern sea then Gamleby is closest, about 40 km. For urban area Kisa it is about 35 km, there are cozy cafes, restaurants and shops. In Vimmerby there is Astrid Lindgren's world and Kalles playground. 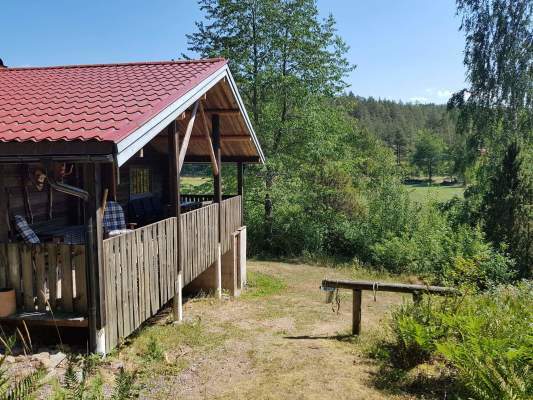 Virum's moose park, where you get to feed moose, is located 2 miles southeast of Vimmerby. If you want a larger city, Linköping is about 1 hour away, and the coastal town of Västervik is about 45 minutes away. 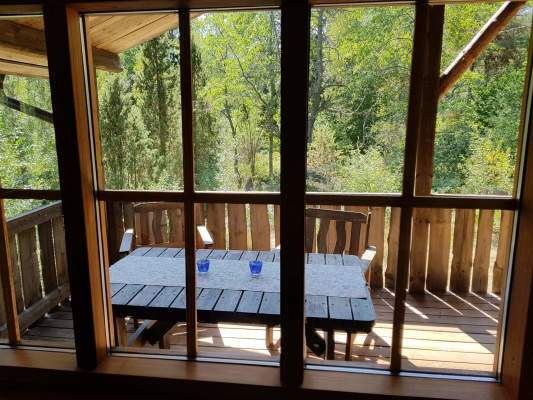 Welcome to this lovely cabin in the woods. 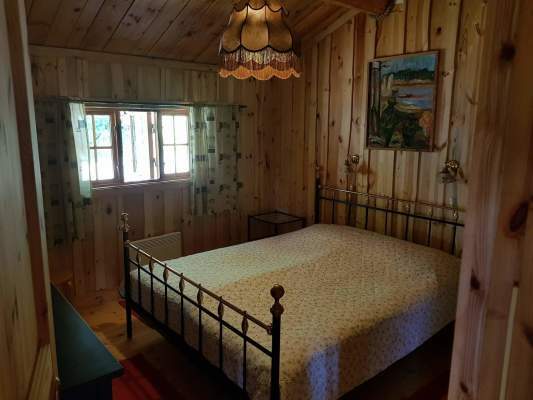 2 bedrooms (1. with two single beds, 2nd with double bed) From the ground floor, a staircase goes up to a sleeping loft with two extra beds in the form of mattresses.